DVEO®, a strong supplier to Telco TV, cable TV, and OTT operators around the world, is now shipping their new compact, cost-efficient server for "few to many" live content distribution. DVEO® will introduce the Atlas Streaming Server™ I at the International Broadcasting Convention (IBC) in Amsterdam, September 11-15, at stand 2.A34. The Atlas Streaming Server I is an affordable ($1,995) "ready to go" appliance that streams live events to many subscribers from any H.264 encoder or IP camera. It is a convenient solution for corporations, universities, religious communities, and others who want to bring a video event in real time to a dispersed streaming oriented community. All the customer needs is a video source and sufficient bandwidth. The system ingests H.264 RTSP from any IP camera, or HLS or RTMP from any streaming encoder. Outbound IP protocols can be RTMP, RTSP, or TS. 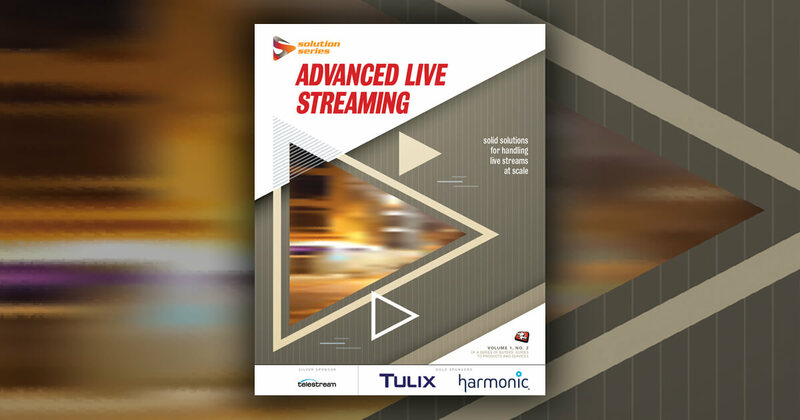 The system sends live adaptive bitrate video feeds to any device that supports HLS, MPEG-DASH, Smooth or HDS/Flash. This includes all Apple®, Android®, and Chrome® based devices. The Atlas Streaming Server I supports 1,000 simultaneous users. "This unit provides a turnkey solution at a very reasonable price, with no monthly or annual fees," commented Laszlo Zoltan, Vice President of DVEO®. "The Atlas Streaming Server I is ideal for corporate communications, religious and faith-based institutions, schools, museums, festivals and special events, and video bloggers. All you need is suitable bandwidth." The stand-alone Linux® based system features pre-integrated content security and digital rights management (DRM) from leaders such as Verimatrix®, with support for AES-128 encryption as well as Simulcrypt (ECMG). The Atlas Streaming Server I is designed for easy configuration and management. It can be controlled from anywhere via the remote GUI, including control of scheduling, and via standards-based APIs: SNMP, REST and SOAP. Users can also add subtitles for closed captioning or multiple languages. The system is also available with DVEO®'s patent-pending DOZER™ automated UDP packet recovery protocol to achieve error-free real-time video delivery to MSO, cable operator, Affiliate, or regional head ends. Atlas Streaming Server 1: $1,995 U.S.
Atlas Streaming Server 1 + DOZER technology: $3,495 U.S.
DVEO®, Atlas Streaming Server, and DOZER are trademarks of Computer Modules, Inc.
CMI, founded in 1982, is a privately held company headquartered in San Diego, California. DVEO®, the Broadcast Division of Computer Modules, Inc., sells digital video and high definition television (HDTV) products to the top television broadcast companies throughout the world. For more information on CMI and DVEO®, please contact Rebecca Gray at +1 (858) 613-1818 or rebecca@dveo.com. To download DVEO®'s press releases and product images, visit the news section at www.dveo.com. DVEO division of Computer Modules, Inc.